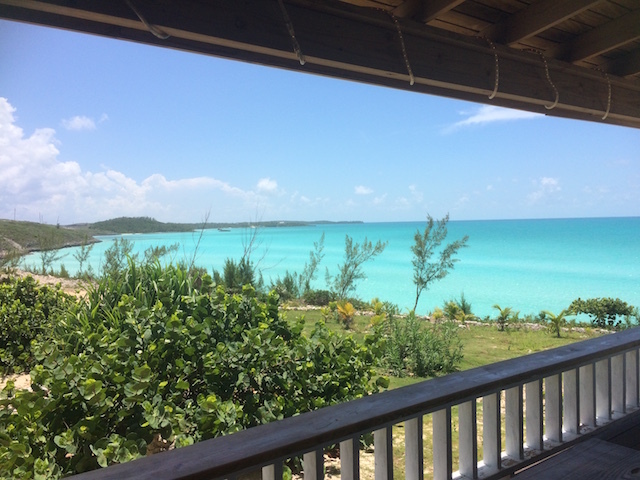 Latest in my Best of Eleuthera series I am delighted to write about the Glass Window Bar and Grill. 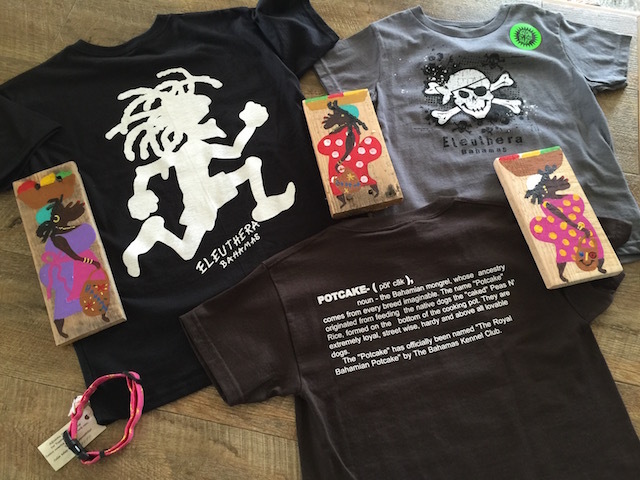 Island Made – your best stop for gifts – especially for yourself ! 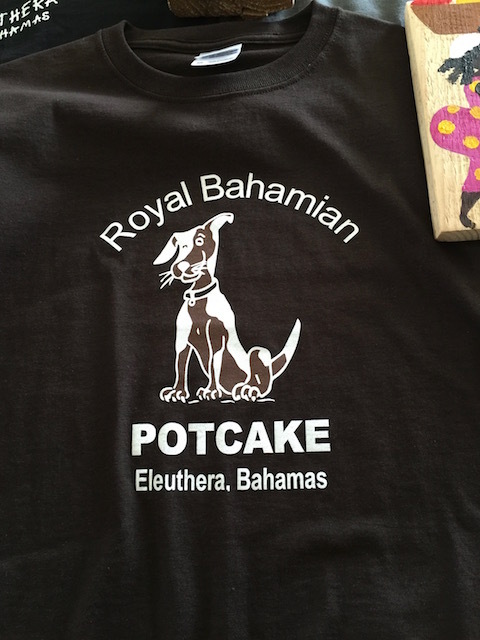 I bought 3 T shirts for our youngest grandchildren, a couple of Pam’s wonderful painted wooden wall plaques of comfortably sized Bahamian ladies ( you know the phrase – built for comfort not for speed ! – enough said ) which I am decorating a powder room with – and a new collar for a puppy ! We are ready to find a new potcake to love – word is out to find one …..
After that we drove on up to shop and on the way back we stopped at the new Glass Window Bar and Grille to check it out …. This place is so great and it has a lovely story behind it as well. 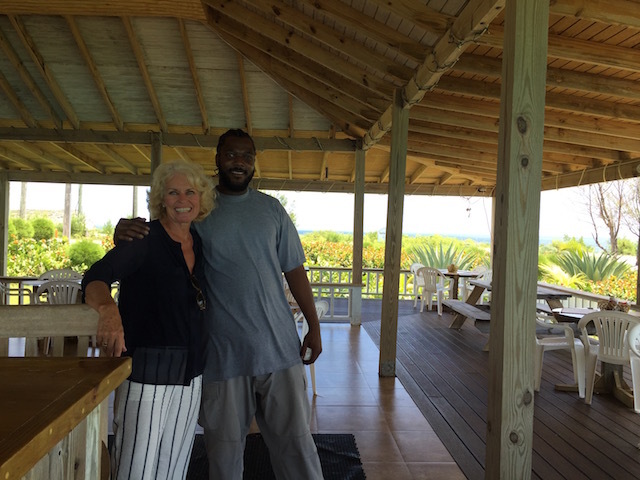 I met with the owner Keno Johnson – he is from Lower Bogue – and he used to manage the 3 Island Sporting Lodge at the 3 Island Dock where the ferry to Harbour Island runs from. As it’s name suggests Glass Window Bar and Grill is situated right at the Glass Window Bridge – so it perfect to stop for a cold drink and something to eat when viewing the sight from the bridge. The land had belonged to Keno’s father – Daniel Johnson – and he had always dreamed of having a bar right there. Tragically Daniel was killed in a rail accident in South Carolina in 1991 when Keno was only 7 years old- but Keno kept the dream of his father close and it became a legacy that he – and his family – worked hard to achieve. Now the bar and grill is open and running and of course his father is remembered as the person who first had the idea. Sadly Keno’s mother died last year before the bar opened – but she had lived to see her late husband’s dream becoming a reality. 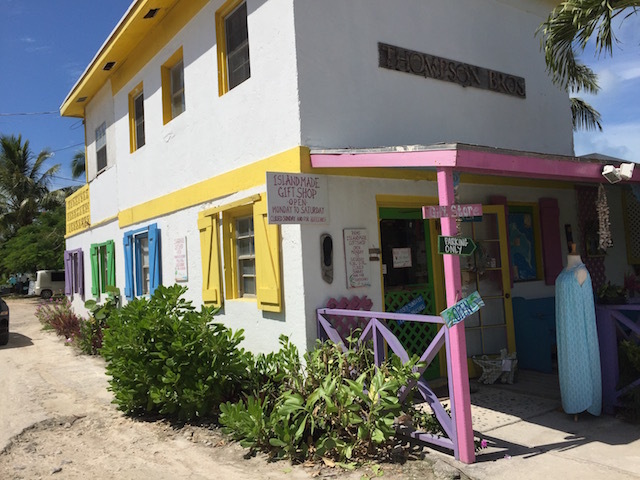 Now Keno is developing his own dream along with members of his family – he plans to build some cottages and turn it into a small resort – with steps down to the beach where paddle boards and kayaks will be available. Of course the bar and grill will develop even more business – and a souvenir shop is also planned. The views are simply stunning and the place always catches a breeze so it makes for a perfect spot for relaxing with a cold one ! Such a view and such a breeze ! Glass Window Bar and Grill is open 7 days a week from 8am – 10pm and as I said the views are just amazing – the staff are friendly – the beers are cold – and the dream is a reality – visit and tell them I told you about it !!! 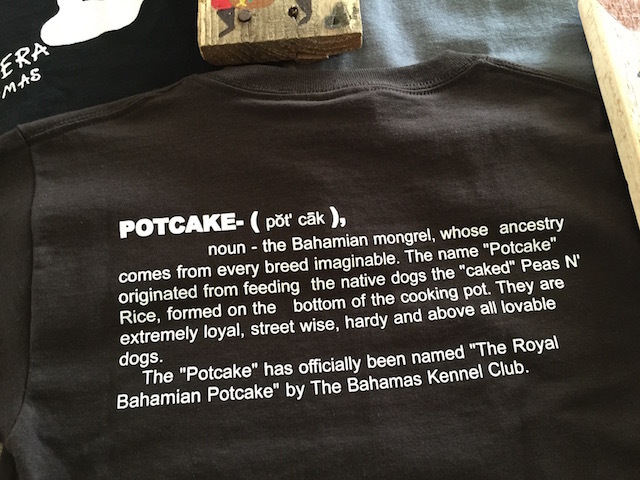 This is a great T shirt as well…..
By the way – you may have heard the confusing way local people talk about traveling down north and up south. Do you know why ? It is from the sailing days when the prevailing winds gave rise to it. Down wind meant traveling north and up wind meant traveling south – and so down north and up south stuck – interesting if confusing ! You learn something every week right ? Hope that all is well with you – always good to know you are seeing the blog …. thanks kathy ALWAYS wondered about that “down” North!! I know – finally makes some sort of sense ! This is fantastic. We can’t wait to go there! Keno has a terrific view. BTW, thanks again for the “island” lesson. 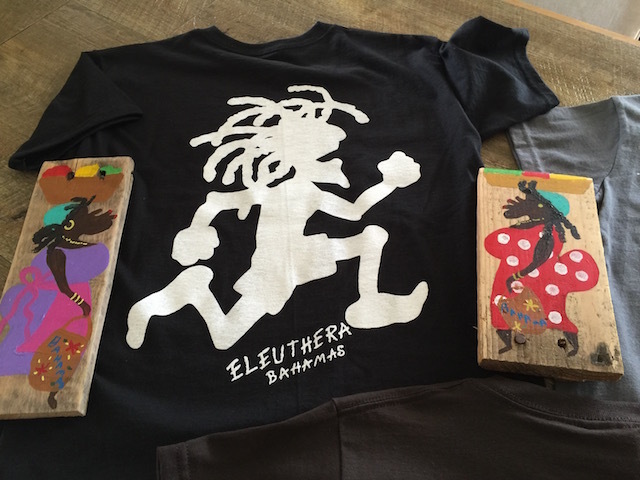 You make it easy to become part of the Eleutheran family. Fantastic – we got you this time ! Not sure what’s better – this exciting post or the fact that you’re getting a new puppy! What a lucky dog it will be. If this reply is already posted I apologize – anyway – lovely to hear from you Ellen and I hope that all is well across the pond ! Plenty of pictures of our new puppy as soon as we find him….. Loved this place. Been going to Eleuthera since 98. Keno picked a fantastic spot. I always wondered when someone would put a nice little place for food and drinks there. I had the blue drink with the rum, Curaçao and red bull. Can’t recall the name of it but a couple of these will solve any troubles. Had a burger, a conch burger and conch fritters. Then Keno let us access the beautiful Exuma Sound waters from his property down below. We were down last week July 2016. Will absolutely be back. Goodness – that drink sounds like a) fun and b) trouble !!!! Nice to hear from you…..